This meditation begins with a prayer to the four directions above and below and guides you through a series of short meditations that help to relieve stress and clear the physical body. This meditation begins with a prayer to the four directions above and below and guides you through a series of short meditations that help to relieve stress and clear the physical body. She also takes you through her signature grounding meditation that allows the energy of all of the chakras to be grounded. 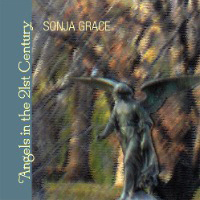 Sonja’s voice brings a quality of peace and tranquility allowing the listener to experience her work as if she were in the room with them. 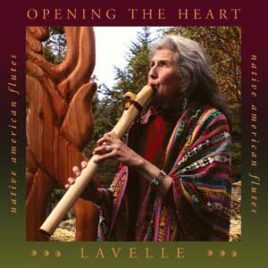 The music of Lavelle Foos offers inspiration. It allows ones mind & body to refresh & open in soulful warmth. The tones of the wooden flutes bring the music of the trees alive, beginning with the flute maker. This meditation CD begins with a prayer to the four directions above and below and guides you through a series of short meditations that help to relieve stress and clear the physical body.